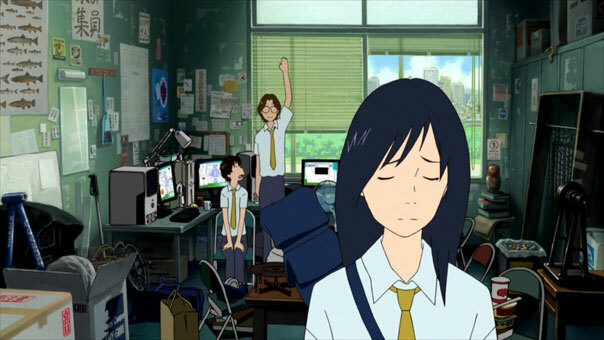 Join introverted math genius Koiso Kenji as he spends the summer vacation of his lifetime in Madhouse Studio’s 2009 offering, Summer Wars. If the title doesn’t get to you, the character designs (as you can see above) probably will. First things first, if you’re thinking of the ‘Wars’ in ‘Summer Wars’ as the tank and soldiers type, then you’re mistaken. It’s a war all right — an Internet War. Love Machine's got 'bad' written all over him. Set in a world where a big bulk of the world’s systems and services are maintained by a gigantic network called OZ, Koiso Kenji spends his summer vacation in his senpai’s — Jinnouchi Natsuki — manor. It was your normal summer, as far as summer’s go. Until Kenji receives a message which he thought was a simple math problem. Unbeknownst to him, it was a code to hack OZ’s system. With paradoxically-named ‘Love Machine’ — a destructive, hacking AI — on the loose, OZ goes haywire and it was up to Kenji and the Jinnouchi clan to stop it. It’s been a while seen I’ve gotten this excited over watching something — not since Steins;Gate and Puella Magi. 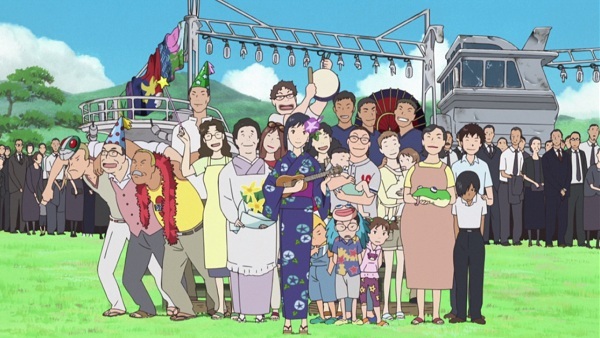 With a seemingly boring opening, Summer Wars will have the viewer make his choice: stick around or leave. Well, good thing I stuck around. Apart from the astonishing visuals, the movie in its entirety — the plot, sound, content, everything — is a must-see. Madhouse Studios and director Hosoda Mamoru (director of The Girl Who Leapt Through Time) surely put a lot of love and effort in this show. Love Machine vs. King Kazma. Who d'ya think will win? One thing to notice, too, is the movie’s social awareness. Despite the fact that the Jinnouchi clan’s house…no, mansion is located in the country, they’re dealing with a problem on the Internet. That is, the movie is perfectly aware of the fact that society nowadays utilize the Internet and its services to its maximum potential. However, this does not mean that the antediluvian ways are not needed anymore. Grandma shows this fact. In the movie, she is proof that personal acquaintances and friendships made in real life are still more lasting and precious than those otherwise. The movie’s juxtaposition of the antiquated and the modern proved to be quite an effective means to emphasize this point. That's...one big family they got there. Apart from the social awareness, there’s also the importance of family. As Grandma always said, one does not let go of family. True enough, in the end, this family is what saved them. The Jinnouchi clan, for that matter, proved to be quite an interesting bunch. It’s such a wonder how the staff managed to pull them off with each family member being unique in his own — both physically and personality-wise. 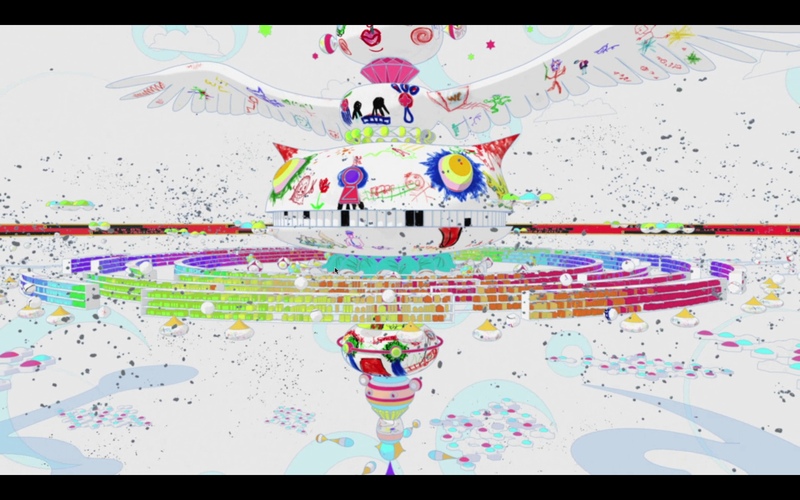 Definitely, Summer Wars is a gem of its time. Combine beautiful visuals, exciting twists and turns plus socially-relevant content and you’ve got one hell of a ride. If you liked Hosoda’s earlier project The Girl Who Leapt Through Time, then you’ll love this even more.